Showtime Australia Adelaide Festival of Arts 2002 South Australian Film Corporation and SBS Independent. Director: Paul Goldman. Composer: Mick Harvey. CD (ST) Mute. IONIC17CD. 2003. Guest Musicians: Matt Waiker - Lap Steel Guitar. Ashley Davies - Drums (3 & 10). Naomi Radom – Violin. Airena Nakamura – Violin. Chloe Miller – Cello. 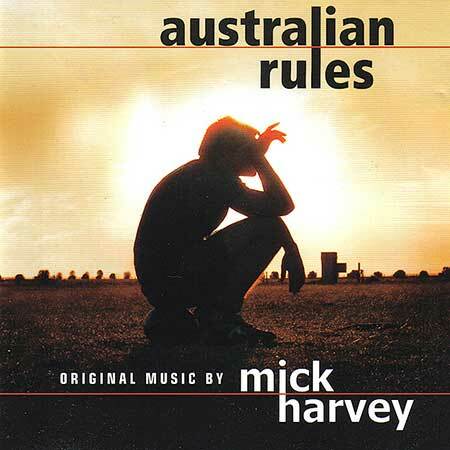 All arrangements and other instruments by Mick Harvey. Composed by Mick Harvey except tracks 3 & 10 by Matt Walker & Ashley Davies. Tracks 6 & 17 by Matt Walker, and track 14 by Tex Perkins & Charlie Owen. “What I Done To Her” taken from the album "Sad But True” by Tex, Don & Charlie. Recorded at Haig St, Wombarra and at The Vault, Balmain, Sydney with James Cadsky except Matt Walker's Lap Steel recorded at Cloud Nine, Sydney by Phil Downing. Mixed at The Vault with James Cadsky except tracks 4, 12,13 & 15 at SingSing with Ross Cockle. Mastered by Ross Cockle at SingSing, Melbourne. Produced by Mick Harvey. Executive Producers Mark Lazarus & Paul Goldman. Published by The Birthday Party P/L/ Mute Song except tracks 3, 6, 10 & 17 by Sony and track 14 by Polygram Music/Control. 10: Grand Final First Half. 12: Dumby At Half Time. 13: Grand Final Second Half. 14: What I Done To Her. Tex, Don & Charlie. 16: Best On Ground Announcement. 17: Pickle's Torches Darcy's Gents. 19: Mourning Outside The Pub.